We are planting. 11000 baby vines will be delivered this month. 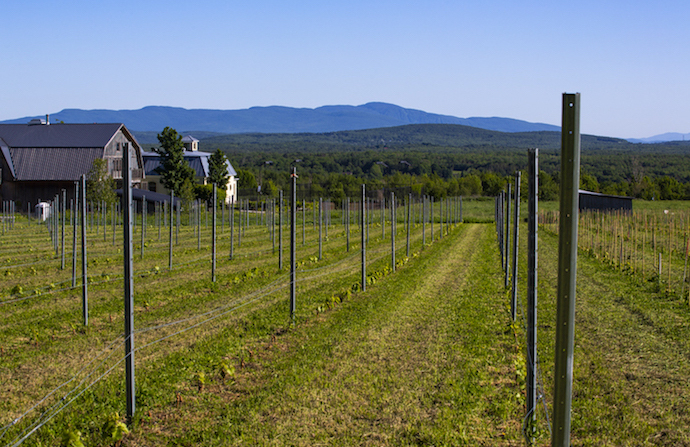 The first group of 5000, our Chardonnay and St. Pepin, arrive this week. The roots of this first group will come bare. We will cut each one (does air on fresh cut burn? ) and we will plant. With an engineer's care, precise rows have been marked on the waiting field. With a gardener's endurance, 5000 planting holes (2" diameter) are being drilled into our (not quite so rocky anymore) ground. We are aware of the importance of planting. 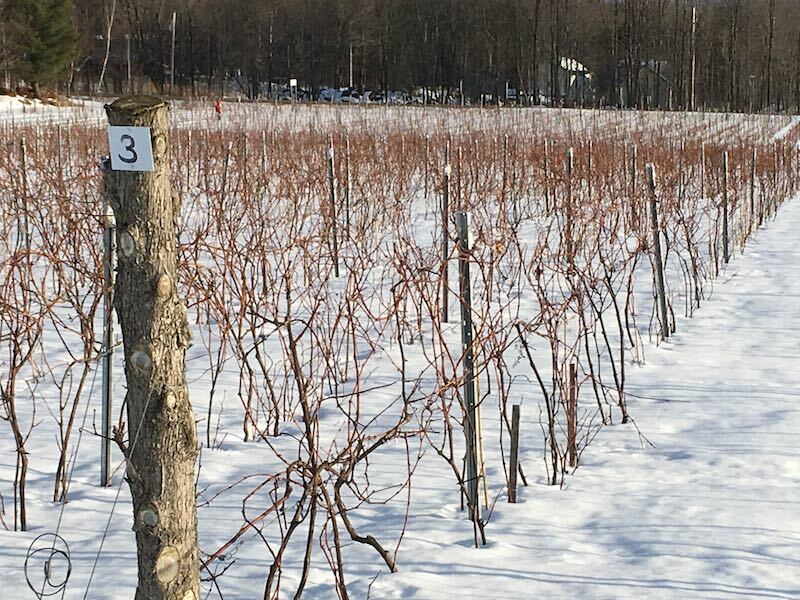 Our vines, once planted in careful rows - which they each summer will try to reach beyond - will endure five years of growth before giving their first fruit. We are, of course, planting for the future. We are also salvaging. When we found our home, La Belle Alliance, we also found our life's work. Much of this work involves taking what we have received and making it better - trying, at least, to make it better. Our home came with fields of vines that had been left lying on the ground since their planting - 7 years before our arrival. We have been told that the easiest course is to plow them under and start again. But we are lifting them up. After having struggled, after having survived this long, why not give them their chance to bear fruit? So we have begun disentangling. 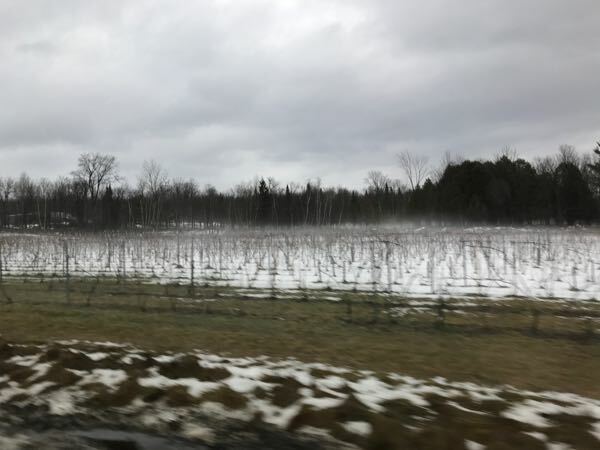 Some vines have reached far and wild, and must be carefully traced across weed-choked ground before being lifted and secured to wooden stakes. 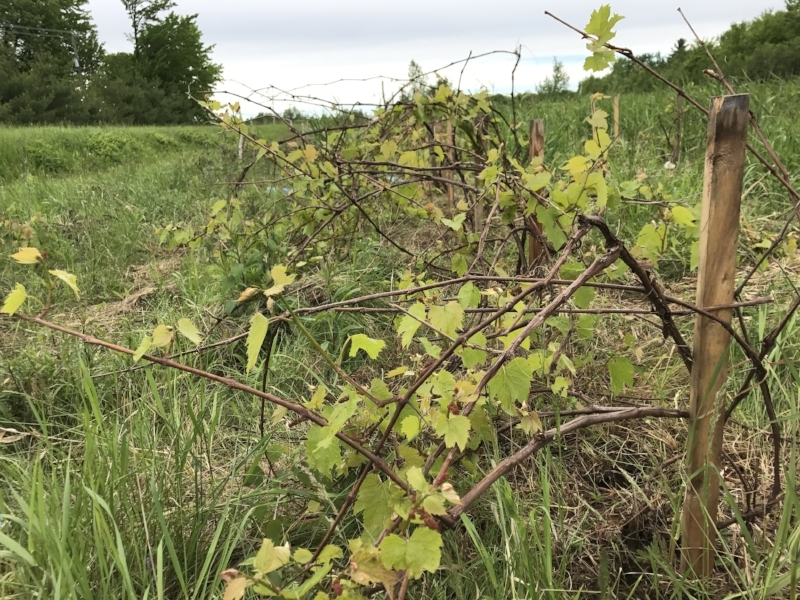 Once the vines are risen, leaves finally receiving a full view of the sun, we will tend them: we will fight back the surrounding weeds; we will prune; we will install permanent posts; and we will begin the slow process of training our savage vines to a wire. Maybe, given this care, our long-neglected plants will at last thrive. But a vine that bears struggle is a vine that bears fruit.